Octavia Noir Tobacco Aftershave has Honey tobacco, real tobacco absolute, black tea, fruit and unique spices. The scent is rich, deep and refined. This is what a well dressed, classy man would use for his after shave after wet shaving. Octavia Noir Tobacco Aftershave has Honey tobacco, real tobacco absolute, black tea, fruit and unique spices. The scent is rich, deep and refined. It is a masculine scent that the ladies love to smell. My inspiration came from a well known steam punk movie. This is what a well dressed, classy man would use for his after shave after wet shaving. 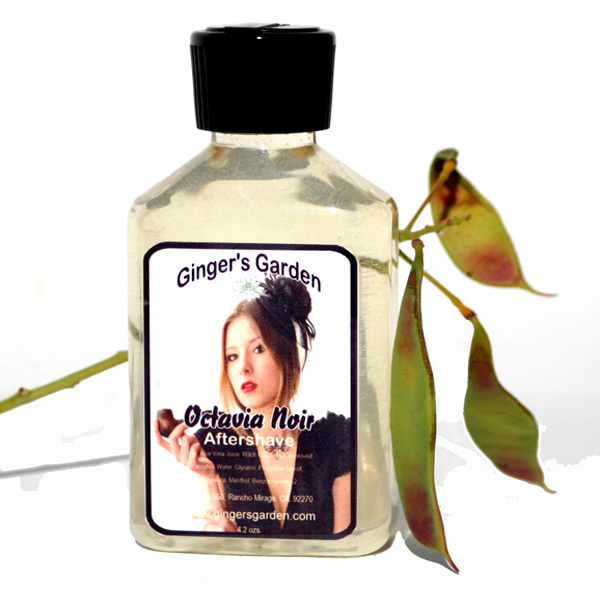 If you enjoy quality pipe tobacco type scents, you will love Octavia Noir. Octavia Noir Aftershave captures the very essence of what a quality tobacco should smell like. Pair up Octavia Noir Tobacco Aftershave with a matching tallow shaving soap. Aloe Vera Juice, Witch Hazel, FDA approved alcohol, Water, Glycerin, Propylene Glycol, Tobacco Absolute, Fragrance, Menthol, Benzophenone -2.